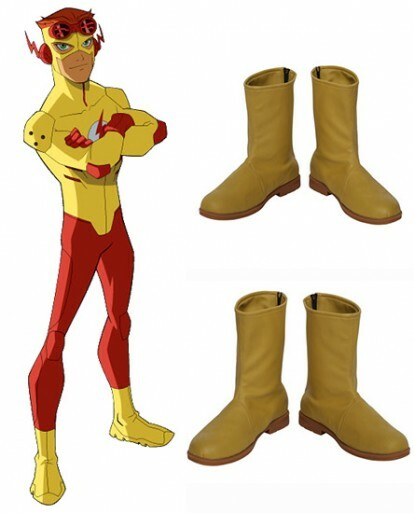 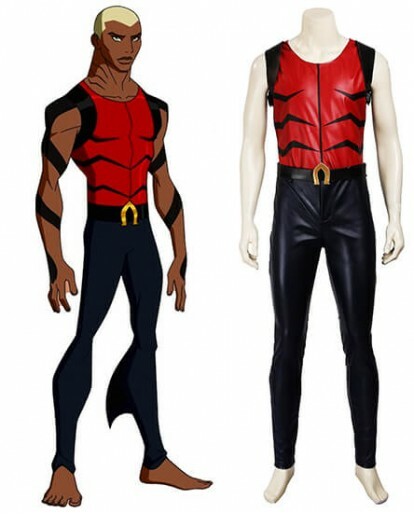 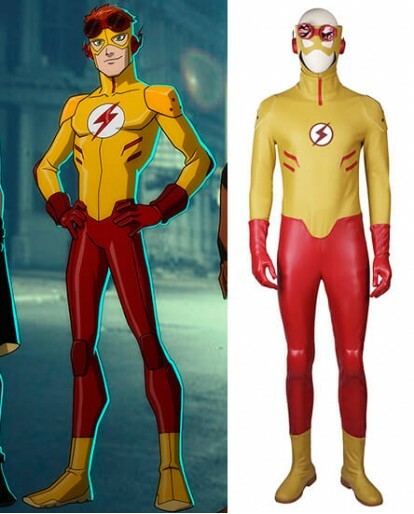 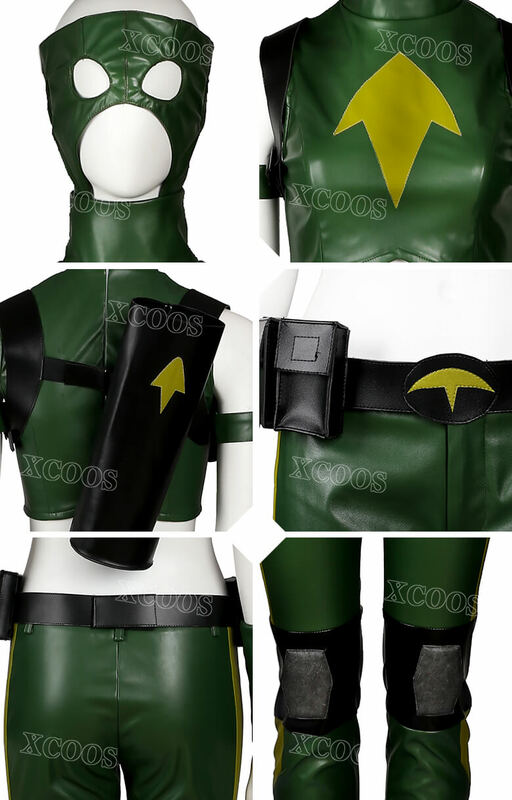 If you want adorn yourself in this Young Justice fashion, you can consider this original look and tailor made Artems cool cosplay costume. 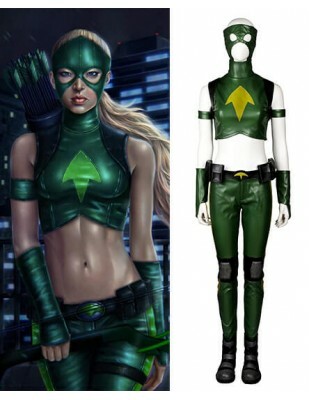 You can able to deliver a splendid fashion statement on wearing this Artems available as an exact replica of what she wore in Young Justice. 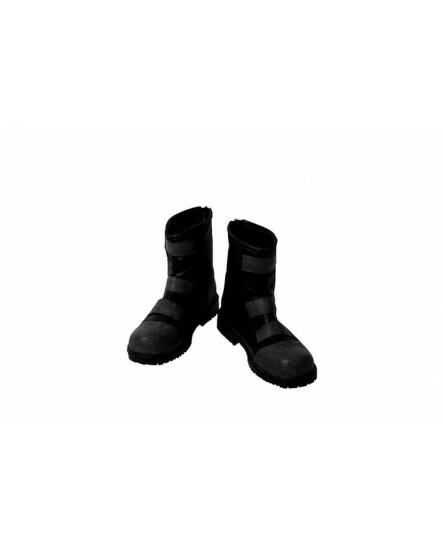 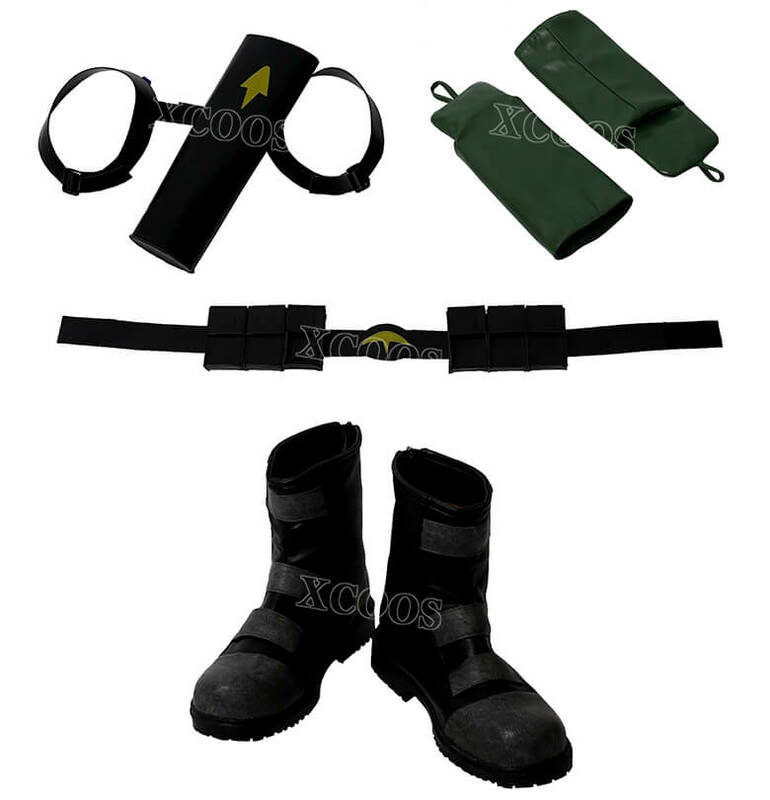 Choose the right size refer the Size Chart, or you can choose custom made service in Xcoos. 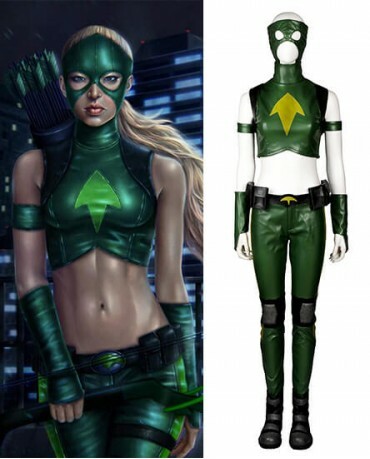 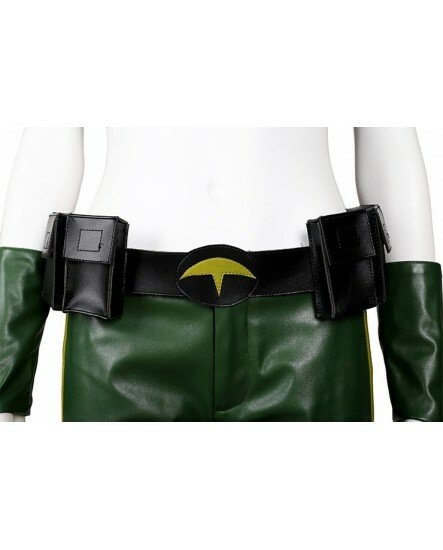 This Young Justice Artems Cosplay Costume is very well designed and looks entirely attractive. 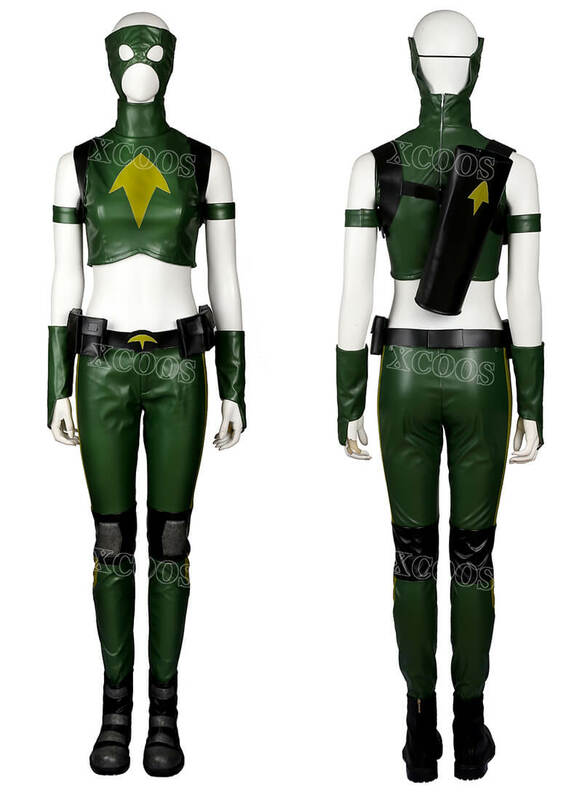 The top vest features a deep green tight bare midriff attached with a cool mask, and it is made from top quality of synthetic leather material and is in slim fitting with back Zip closure. 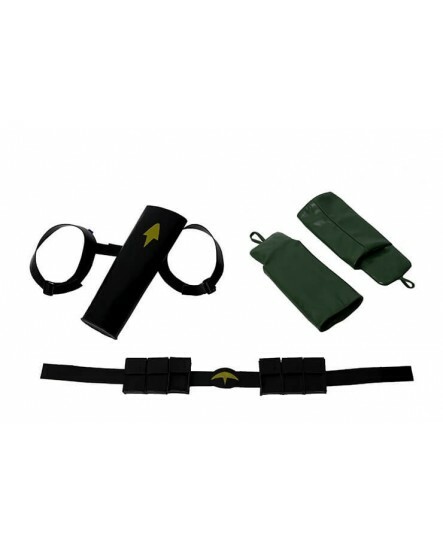 A yellow logo is printed on the suit and a matching utility quiveris also included. 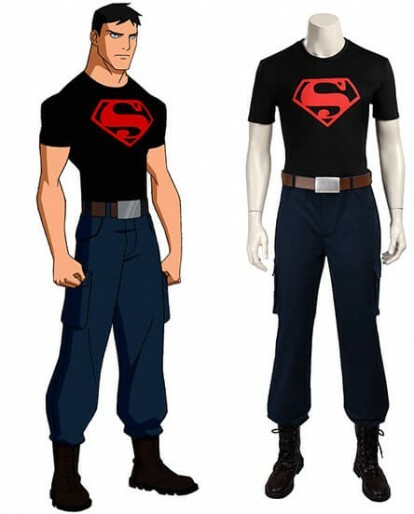 Dress as this newer DC Comics character at the next Halloween parties to let everyone know there's a new Artems in town.